High quality solid stainless steel door handles. 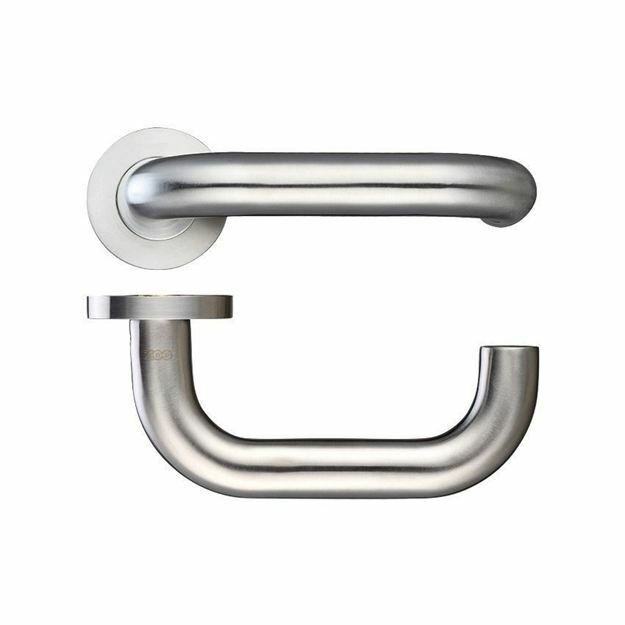 Available in brushed stainless steel finish with solid investment cast stainless steel components throughout. Sprung lever for ease of installation. 50mm diameter x 8mm screw on rose design. 133mm lever length with a 67.5mm projection. Priced and supplied in pairs with bolt through fixings and spindle.